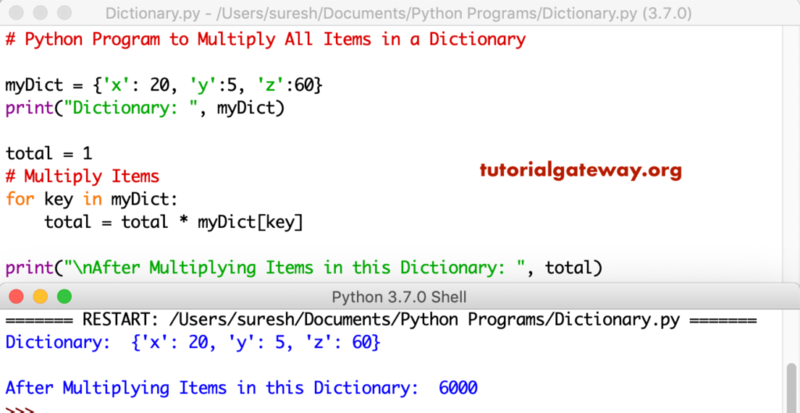 In this article, we will show you, How to write a Python Program to Multiply All Items in a Dictionary with practical example. Before you start, please refer Dictionary article to understand everything about Dictionaries. In this python program we are using For Loop to iterate each and every element in this Dictionary. Inside the loop we are multiplying those values to total variable. This program uses For Loop along with values function to multiply values in a dictionary.